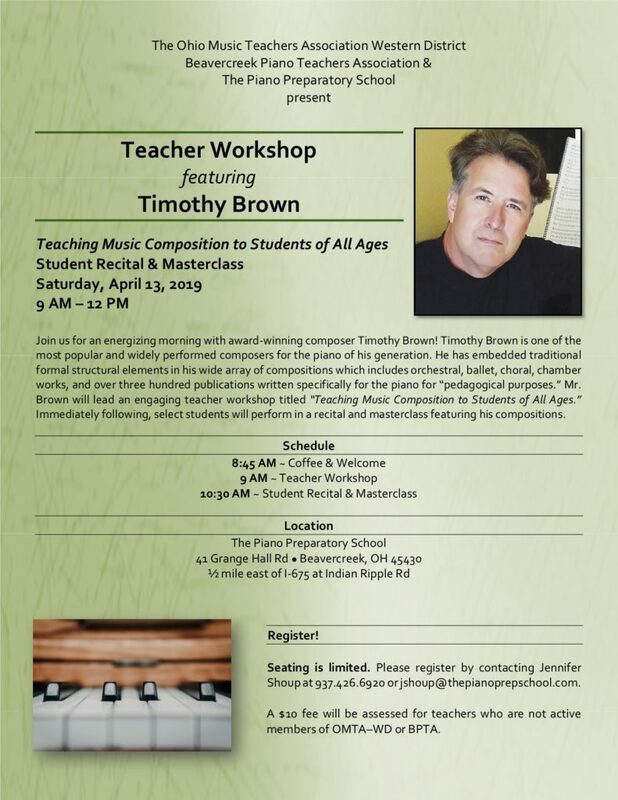 The OMTA Western District would like to invite teachers to attend an upcoming workshop, recital, and masterclass with Timothy Brown on Saturday, April 13 in Beavercreek, OH. Click on the image to enlarge and/or print. This entry was posted in Blog, General Information, Teacher Events, Workshops by Cynthia Adams. Bookmark the permalink.